I think it is safe to assume who is feeling “skeered” these days. A couple of years ago I participated in a re-enactment at Selma. I remember at registration the ‘Friends of Forrest” passed out fliers and other literature about the “attacks” on Forrest in Selma. I’ve always been flustered by how people can be so inherently nice yet miss out on why certain things are obviously offensive. A perfect summation of why Americans from outside the South have always felt ambivalent about Southerners. The inspirations that reach focus in my lifetime with, among others, Dr. Martin Luther King, Jr. and Barack Obama… and many others, tells me that the Edmund Pettus bridge is a crossing that all of us may make. There are many barriers to the commitment to cross that bridge. You don’t have to go to Alabama to do it. You may do it alone and not in a march. Me? I’m a senior Southerner. I’m still crossing that bridge. I hope the “Friends of Forrest” may join me. I welcome them and promise that we can share the journey. Very nice. Thanks for the comment. ….how people can be so inherently nice yet miss out on why certain things are obviously offensive. Rob, you are giving the “Friends of Forrest” far too much credit. They are not missing out on anything – in making a fetish of the most famous leader of the KKK they know exactly what they are doing. I tend to disagree with the intent. I think it is a condition of a certain generation. I don’t think the “Friends of Forrest,” or at least the ones I conversed with, intend to cause racial disparity. I think the are ignorant to that fact and simply just don’t care to learn. Rob, go look at the video from The Guardian shot on Sunday. The Friends of Forrest view the “March on Selma” explicitly as a military operation, and a threat to be defended against. Did not see the reply until after I viewed the video. Wow. Just, wow. If a few folks with the money for a billboard want to commemorate the head of the KKK on the anniversary of Bloody Sunday they should know that their money was wasted. Modern Americans reject slavery, white supremacy, and the violent values of the Klan and Forrest. Trying to use Civil War tourism as a shield to hide behind demonstrates that these modern racists are cowards. I was at a service today commemorating the murder by White American terrorists of a Unitarian minister in Selma 50 years ago. I hear you, but it is comforting that on this 50th anniversary the only way these people can be seen/heard is if they pay for a billboard. They use to control the streets of Selma. I find so much of what went on before, during, and after Selma so disheartening. The rhetoric on both sides really diminished what should have been a great opportunity to look back and consider how far we have come, and that work remains. To say that I am disappointed with Republicans and conservatives would be an understatement, although George Bush (of whom I am NO fan) making the commemorative march should be noted as the right move on his part. To say I am disappointed to hear Democrats and liberals chalk so much of what ails modern day Selma and other communities up (or down) to baseline racism and little else would also be an understatement. Republicans are attacked for not showing up and Bush and McCarthy are attacked for showing up. Democrats are attacked for remembering how difficult the path of the Civil Rights truly was and not forgetting and Obama is slammed no matter what he does. Sigh….. I think it’s unavoidable especially given the fragile state of voting rights in the wake of the recent court decision. 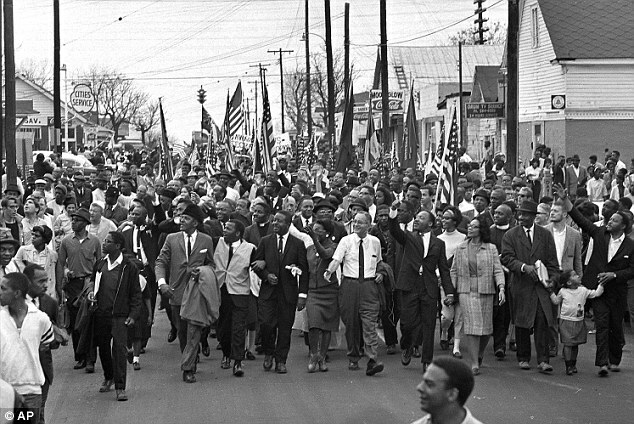 For many people the Selma March isn’t history. I’m not being intentionally obtuse, but whose voting rights are being infringed? I lived in Arizona for well over a decade and certainly heard my fair share of complaints online and in print, but never witnessed any issues at polling places that I viewed as anything other than proper procedure. Frankly, I’ve never understood the fuss about having proper identification to vote. Folks need it to do a variety of daily activities so why is it such an issue at polling places? As to Selma not being history for some – that is spot on. John Lewis is a prime example. I also find it disturbing to hear some say folks who lived thru the Civil Rights era need to “get over it” and the same person will then complain about what Sherman did 150 years ago. It’s not just about Voter ID laws, which are supposedly intended to combat fraud though there is very little evidence that it is a problem. Restrictions also include the shortening of early voting periods, ending election day registration, restrictions on third-party registration, and the purging of voter rolls. In my view this is a huge problem and on the 50th anniversary I hope that it is given voice. Thanks for the comment. Given that this supposed voter fraud only became a major issue for conservatives after Obama seized office on a wave of support from youth and minorities, it’s pretty obvious that voter ID laws and restriction measures such as shortening poll times are designed to block such folks from voting. True that, Kevin. Some days I just feel discouraged. What happened to all the US Flags. There are lots of them being carried by marchers in the photo of the first march. I don’t see nary a one in the photo of the 2015 march. You mean the large American flag that could be seen by every single participant? That flag? No, I mean all the flags that the marchers are NOT carrying, that their counterparts 50 years ago carried and were photographed with. Seems obvious what I was referring to in the two photos I mentioned. Perhaps the difference is that in 1965 African Americans had to remind the rest of the nation that they were also Americans deserving of the same rights. I guess in 2015 they don’t have to make that point so explicitly for most people. That’s true. 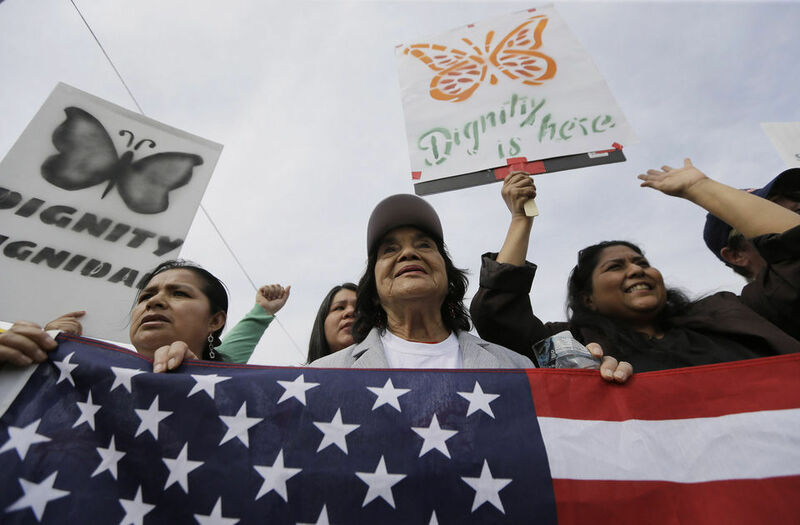 But it also may be that, because of the high-profile persons involved, including the President and several members of Congress, objects like flagpoles and umbrellas were barred from the march for security/safety reasons. That’s a common policy at large crowd events and venues. And there were U.S. flags in the crowd. Al.com reports the KKK was distributing fliers in Selma on the “Bloody Sunday” anniversary. Apparently Pat Godwin and Susan Hathaway are pals. Go figure.